What if I could find a way to collect and organize all the different things that inspire me, in one place? What would that look like? These were questions I had been asking myself for a couple of years. You see, whenever something inspires me, I make a simple sketch or write down a few lines in my notebook. Never knowing if these ideas will ever be the beginning of something bigger. Little over two years ago I had enough of just scribbling those ideas down and decided it was time to start building… something. Print is my first love, but I felt publishing a printed magazine right away would be too hard. Mainly because I had no idea yet, how to physically show what inspired me. Instead, I launched the online platform. Over time, I found different ways of sharing and categorizing my interests. I even started collaborating with people who, in my opinion, had something meaningful to share in the form of a project they were doing, an idea they had, a photo essay or a written essay for that matter. With more focus and a new found determination, I decided in the beginning of this year to make the leap towards print and publish this when-ready magazine. 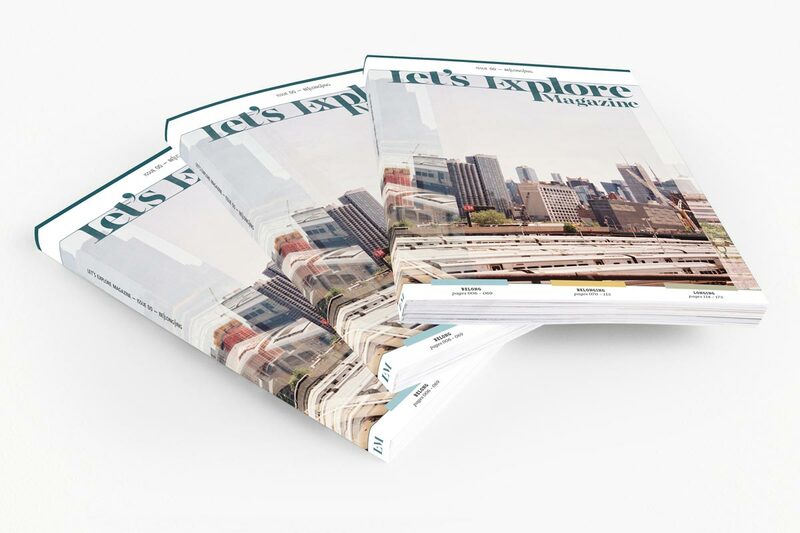 My exploration into where and how the platform belongs has resulted in such an amazing adventure, that it only felt right to make Belonging the theme of the launch issue of Let’s Explore Magazine. Meeting so many inspiring people over the past years, I wanted them to share their thoughts on Belonging. I divided the theme into three sub themes (Belong, Belonging and Longing), along which the submitted stories were categorized. Because each story is part of the overal theme, it might fit in multiple sub themes. The categorization in this issue is the result of my interpretation. That so many terrific people became part of this process is very humbling and I am honored to present their stories to you. So sit back, relax and enjoy this launch issue. I hope the stories will be as inspiring to you as they still are to me.